I’ve finally got round to getting myself a new personal laptop. My last one was a Lenovo U410 Ideapad I picked up back in 2012. I tried running Linux on it but it didn’t go too well and the screen size and resolution was way too low to do anything serious on it. It ended up with Windows 7 back on it, permanently on power because the battery is toast and mainly being used to sync my Garmin watch to Strava. Anyway it was well past time for something a little more seriously useful. I’d had my eye on the Dell XPS13 for a while and when they announced a new version last year it looked very interesting. @hardillb I <3 my @dell XPS13. I have the 2013 model. Dell have been shipping laptops installed with Linux for a while under a program called Project Sputnik. This project ensures that all the built in hardware is properly supported (in some cases swapping out components for ones known to work well with Linux). The first generation XPS13 was covered by Project Sputnik so I was eager to see if the 2nd generation would be as well. It took a little while, but the 2015 model finally started to ship with Ubuntu installed at the end of 1Q 2016. The one I like best is the weight, lugging the w530 round is a killer, so getting to leave it on the desk at the office a little more will be great. As for actually running the machine it’s been very smooth so far. It comes with Ubuntu 14.04 with a couple of Dell specific tweaks/backports from upstream. I’m normally a Fedora user, so getting used to Ubuntu for my main machine may take a bit of getting used to and 14.04 is a little old at the moment. 16.04 is due to ship soon so I look forward to updating it to see how it fairs. I’ve swapped the desktop to Gnome Shell instead of Unity which is making things better but I still may swap the whole thing for Fedora 24 when it ships to pick up something a lot closer to the bleeding edge. One of the only things missing on the XSP13 is a (normal) video port. It does have a USB-C/Thunderbolt port which can support HDMI and Display Port but the driver support for this on Linux is reported to still be a little brittle. While I wait for it to settle down a little I grabbed a Dell DA100 adapter. This little device plugs into one of the standard USB 3.0 port and supplies HDMI, VGA, 100mb Ethernet and a USB 2.0 socket. This is a DisplayLink device, but things seam to be a lot better than when last tried to get a DisplayLink to device to work. There is a new driver direct from the DisplayLink guys that seams to just work. 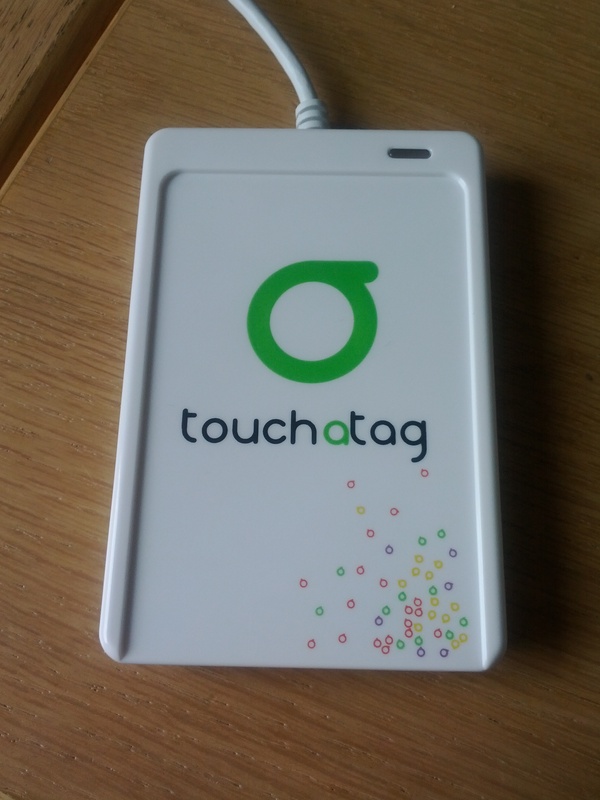 We got a bunch of Touchatag NFC readers in the office just after Christmas and I said I would have a play with one to see what we could use them for. I had seen one before (in fact I borrowed one from Andy Piper for a little while) but didn’t get much further than trying to read my work id card. PCSC Lite is packaged for Fedora and Ubuntu, but I couldn’t find libnfc in the standard repos for Ubuntu so ended up building it myself for one of the machines in the office. 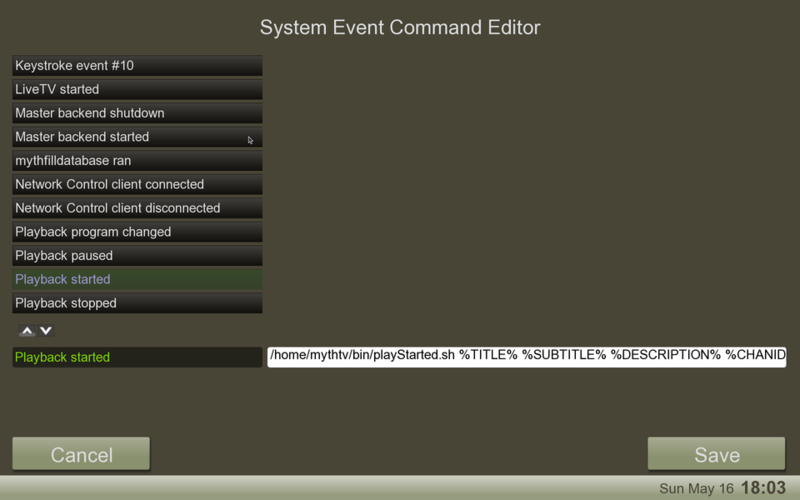 Again this was a simple “configure; make; sudo make install”. With that done I was able to use the nfc-mfclassic tool from the libnfc samples to read data from a tag. Which gets me a file with all the data stored on a tag (assuming I know the right keys to access all the blocks), but most of the time just having the tag id is enough to trigger an event. After a bit more poking around I found nfc-eventd which seamed to fit the bill perfectly. # what to do if an action fail? action = "publish 'wmqtt://nfc@broker:1883/nfc/tagid?qos=0&retain=n&debug=0' $TAG_UID"
The plan is to use this now to allow the guys in ETS to log into various demos in the lab with their id badges. Next on the list is to see if I can get the reader to respond to my Galaxy Nexus when it’s in tag mode.
. It’s been slow progress because nobody seams to have a link to the src for the kernel that it comes with so I can’t build the DisplayLink module. To try and get round this I tried to update the kernel using some instructions on the openplug.org website. Unfortunately due to a miss match in the uboot boot loader that came installed on the device the new kernel wouldn’t boot. I tried following the un-bricking instructions on the openplug.org wiki and ran into the problem that not only is the src not available for the original but neither is the binary. I tried to grab a copy from a colleagues machine but it didn’t want to read the area of flash properly once booted. I finally found a nice little post on the New IT forum that had all the bits needed to update uboot, the kernel and a clean root file system using a USB stick. 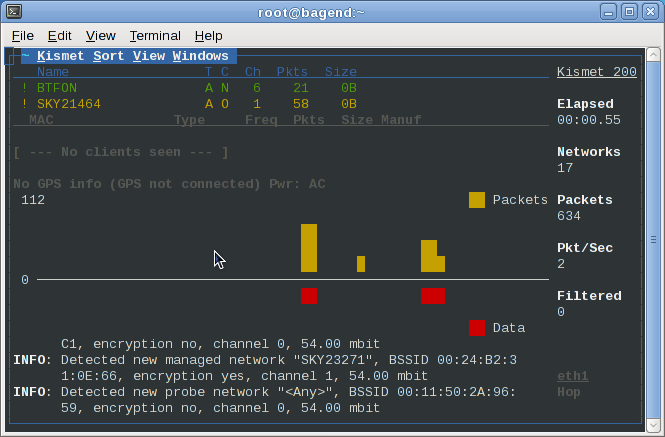 The updated version of uboot should also allow the pre built kernels out there to boot now as well. So while I’m not back to original state of the as the Guruplug shipped, it is now up are running again and I can get back to getting my MIMO working with it.